If your frequent visits to Rocky Point are causing you to fall in love with the area, then you may want to thin about adjusting your vehicle coverage. 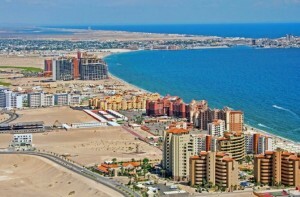 There are several benefits to be obtained with long-term Mexican insurance for Rocky Point. However, it’s important to examine your travel plans and habits to be sure that long-term coverage is ideal. Whether you invest in long-term or short-term Mexican auto insurance for Rocky Point, you will want to be sure that your limits are appropriate for the destination. Additionally, you will want to verify that your Mexican car insurance for Rocky Point features quality coverage and reliable claims services. Mexican insurance for Rocky Point by MexicanInsuranceStore.com ics necessary for all highway travel in Mexico. When is long-term Mexican insurance for Rocky Point recommended? Cheaper to buy after 3 weeks – If your time in the country over the course of the year will be more than 21 days, it actually becomes cheaper to buy a six-month policy, as opposed to 21 days at the daily rate. A one-year plan is excellent if you want to spread your travel dates throughout the year. Convenience – Even if you won’t be in the country for a full three weeks’ time, you may find that longer Mexican auto insurance for Rocky Point reduces your preparation time for each trip. You can avoid the border booths by having your Mexican car insurance for Rocky Point taken care of in a single moment. Just pack up and head south when your plans allow. Avoid lapses – if you like to travel with the freedom to come and go with great flexibility in your schedule, then long-term Mexican insurance for Rocky Point ensures you maintain value while limiting the possibility for a lapsed policy. Your coverage needs to be in effect at all times when your vehicle is on Mexican soil. Travel in different vehicles: If you use various cars or vehicles to travel, then you may want to purchase your coverage on a trip by trip basis. Rental car travel: You can get Mexican car insurance for Rocky Point when you travel in a rental car, but you will need to opt for a trip-specific policy. Not sure of future travel plans: You may need to limit your Mexican insurance for Rocky Point because of uncertain plans. Mexican insurance for Rocky Point gives you peace of mind! Long-term Mexican insurance for Rocky point provides quite a great deal of coverage particularly to visitors who often frequent the resort and stay for a considerably long period of time. Long-term Rocky point Mexico insurance provides quite a great deal of coverage particularly to visitors who often frequent the resort and stay for a considerably long period of time.